Make haste! The flood-tide of Fortune soon ebbs. He had the folly to believe that to be feared is glory. Doubt not a woman's hardihood; no danger is too great for wedded love to face. Men leave arms and legs behind, severed by the frost, and the cruel cold cuts off the limbs already broken. Manhood is tested by trial. Groundless superstition ill becomes an army; Valour is the only deity that rules in the warrior's breast. Inaction is safety in peril. Victorious Carthage measures the downfall of Rome by all the heap of gold that was torn from the left hands of the slain. Silius Italicus (c. 28 – c. 103) was a Roman consul, orator, and Latin epic poet. His only surviving work is the 17-book Punica, an epic poem about the Second Punic War. Here I begin the war by which the fame of the Aeneadae was raised to heaven and proud Carthage submitted to the rule of Italy. He was ever first to undertake hardship. contendit Fidei secretaque pectora temptat. caelicolum magnas uoluebat conscia curas. He took his way to the abode of sacred Loyalty, seeking to discover her hidden purpose. It chanced that the goddess, who loves solitude, was then in a distant region of heaven, pondering in her heart the high concerns of the gods. Then he who gave peace to Nemea accosted her thus with reverence: "Goddess more ancient than Jupiter, glory of gods and men, without whom neither sea nor land finds peace, sister of Justice..."
litora et infuso stagnantis aequore campos. Oceanus fontis torrentibus ingruit undis. luctantur terris tumefactum imponere pontum. et fusi transtris expectant aequora nautae. fertque refertque fretum, sequiturque reciproca Tethys. When Hannibal's eyes were sated with the picture of all that valour, he saw next a marvellous sight—the sea suddenly flung upon the land with the mass of the rising deep, and no encircling shores, and the fields inundated by the invading waters. For, where Nereus rolls forth from his blue caverns and churns up the waters of Neptune from the bottom, the sea rushes forward in flood, and Ocean, opening his hidden springs, rushes on with furious waves. Then the water, as if stirred to the depths by the fierce trident, strives to cover the land with the swollen sea. But soon the water turns and glides back with ebbing tide; and then the ships, robbed of the sea, are stranded, and the sailors, lying on their benches, await the waters' return. It is the Moon that stirs this realm of wandering Cymothoe and troubles the deep; the Moon, driving her chariot through the sky, draws the sea this way and that, and Tethys follows with ebb and flow. femineo. Castum haud superat labor ullus amorem. sese aperit fessis et nascitur altera moles. The higher they climbed in their struggle to reach the top, the harder grew their toil. When one height had been mastered, a second opens and springs up before their aching sight. membra gelu, fractosque asper rigor amputat artus. desidiae virtus paulatim evicta senescit. And their manliness is slowly sapped and weakened by the seductive poison of indolence. ac nitidum uiridi lente trahit amne liquorem. somniferam ducit lucenti gurgite lympham. That crystal river keeps its pools of blue water free from all stain above its shallow bed, and slowly draws along its fair stream of greenish hue. One would scarce believe it was moving; so softly along its shady banks, while the birds sing sweet in rivalry, it leads along in a shining flood its waters that tempt to sleep. nititur ad laudem virtus interrita clivo. Manhood is tested by trial, and valour climbs unterrified the rocky path and difficult ascent that leads to glory. Pelle moras! Brevis est magni Fortuna favoris. Bellandum est astu; leuior laus in duce dextrae. War calls for strategy: valour is less praiseworthy in a commander. Like a trembling hind pursued by a Hyrcanian tigress, or like a pigeon that checks her flight when she sees a hawk in the sky, or like a hare that dives into the thicket at sight of the eagle hovering with outstretched wings in the cloudless sky. auro servauit ramos Junonius anguis. Huge as the snakes that armed the Giants when they stormed heaven, or as the hydra that wearied Hercules by the waters of Lerna, or as Juno's snake that guarded the boughs with golden foliage. ducit nocte lupos positae balatibus agnae. Even so a shepherd, seeking safety for his flock, lures the wolves at night by the bleating of a tethered lamb into the pitfall masked by a slender covering of leafage. Altars seldom smoke in prosperous times. Non umquam spem ponit amor. evecta Aonio et Smyrnaeis aemula plectris. Mantua, the home of the Muses, raised to the skies by immortal verse, and a match for the lyre of Homer. metitur Latias victrix Carthago ruinas. Note: This refers to the mass of rings Hannibal plundered from the Roman knights slain in the Battle of Cannae. Nowhere do men remain loyal for long when Fortune proves unstable. centeno fractus spumabat verbere pontus. Then the shouting of the sailors, which had long been rising from the open sea, filled all the shore with its sound; and, when the rowers all together brought the oars back sharply to their breasts, the sea foamed under the stroke of a hundred blades. Peace is the best thing that man may know; peace alone is better than a thousand triumphs; peace has power to guard our lives and secure equality among fellow-citizens. Let us then after so long recall peace to the city of Carthage, and banish the reproach of treachery from Dido's city. 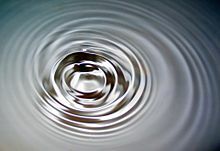 So, when a pebble breaks the surface of a motionless pool, in its first movements it forms tiny rings; and next, while the water glints and shimmers under the growing force, it swells the number of the circles over the rounding pond, until at last one extended circle reaches with wide-spreading compass from bank to bank. contingat geminas patulo curuamine ripas. Fill all the watery plain, and to the margin dance. Another still, and still another spreads. And Poverty, an unsightly plague that leads men to crime; Error, with staggering gait, and Discord that delights to confound sea with sky. durat apud superos nec edunt oblivia laudem. Virtue is indeed its own noblest reward; yet the dead find it sweet, when the fame of their lives is remembered among the living and oblivion does not swallow up their praises. insiliente mari, summergitur alveus undis. She gave way under the sudden weight, the sea rushed in, and the Io sank beneath the wave. Shields and helmets float on the water, images of tutelary gods and javelins with useless points. celsa umeros niveae fulgebat stamine pallae. The appearance of [Virtue] was far different: her hair, seeking no borrowed charm from ordered locks, grew freely above her forehead; her eyes were steady; in face and gait she was more like a man; she showed a cheerful modesty; and her tall stature was set off by the snow-white robe she wore. et Decus ac niveis Victoria concolor alis. My attendants are Honour and Praise, Renown and Glory with joyful countenance, and Victory with snow-white wings like mine. Book XV, lines 98–99; spoken by Virtue. He wrote poetry with greater diligence than talent. 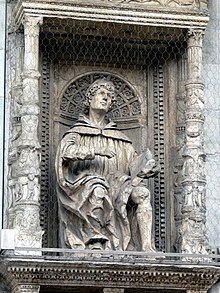 [Virgil's] birthday he celebrated with more solemnity than his own, especially at Naples, where he used to approach his tomb with as much reverence as if it had been a temple. Perpetui numquam moritura volumina Sill. The deathless volumes of immortal Sily. jugera facundi qui Ciceronis habet. Silius, who possesses the land which was eloquent Cicero's, honours this monument of great Maro. As heir and owner of his tomb or dwelling no other would either Maro or Cicero choose. nomina qui coleret pauper et unus erat. et vates vatem non minor ipse colit. To honour the ashes, now wellnigh abandoned, and the sacred name of Maro was there but one, and he was poor. Silius resolved to rescue the regretted dead: and Silius—no less himself a poet—honours the bard. Scribebat carmina maiore cura quam ingenio. Finished Silius Italicus; for which Heaven be praised! [...] Pope must have read him before me. In the 'Temple of Fame,' and the 'Essay on Criticism,' are some touches plainly suggested by Silius. This page was last edited on 21 July 2018, at 21:16.